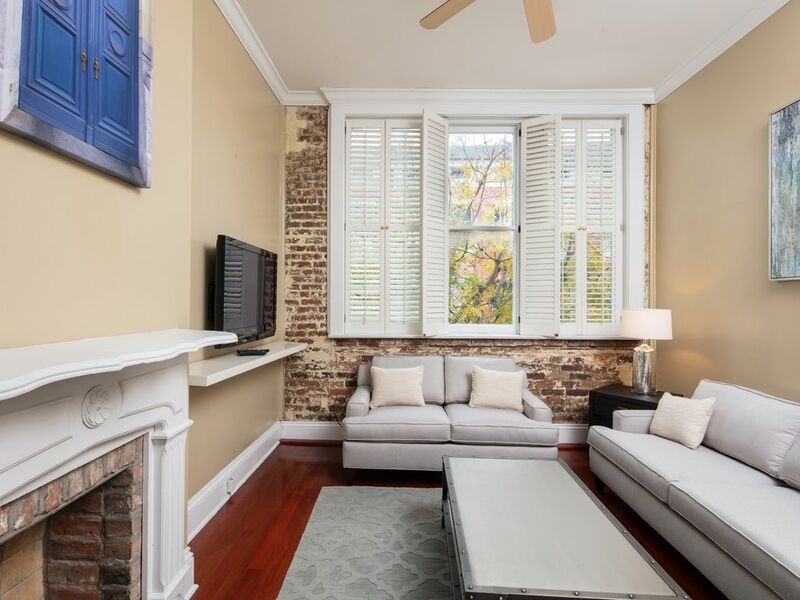 Charming, fully furnished condo in the heart of NOLA's Warehouse/Arts District! 2 bedroom / 2 bathroom and covered balcony overlooking lovely courtyard. 1 block to St. Charles Street, where you can hop on a streetcar to visit the French Quarter, etc. 1 block to the restaurants, coffee shops, boutiques, art galleries and antique Shops on Magazine Street. 6 blocks to Bourbon Street! MAKE YOUR RESERVATIONS FOR YOUR ANYTIME NEW ORLEANS GETAWAY TODAY!! ATTICUS is an Architectural and Urban Design, Master Planning and Land Planning firm engaged in the design, sales, and management of office, high-rise, mid-rise, mixed-use, luxury, senior, affordable, military and student housing - both rental and for sale -in markets across the country.Atticus Real Estate Development is located in Houston and Dallas, Texas. We stand among the most active private real estate companies in the United States, specializing in the development and management of high quality multi-family residential properties nationwide. With experience and an award-winning portfolio of residential high-rise, mid-rise, mixed use and suburban projects, Atticus is focused on nationwide strategic growth in major markets across the United Sates. To date, Atticus has a project mix total of thousands of units across the country. Current locations in U.S. markets include Vail, Dallas, Austin, Houston, Rosemary Beach, and Watersound. We have a regional office that houses our Architecture Firm on Julia Street. With the purchase of that commercial building, also came our 2 vacation condos on Julia Street overlooking the private courtyard, what a bonus! The location couldn't be better; frontage on Julia St., in the heart of the Warehouse/Arts District and 1-block off St. Charles (street car and Mardi Gras parade route). Just a few minute stroll into the French Quarter and only a few steps to the restaurants and shops on Magazine. This is a perfect place to relax and enjoy New Orleans in the heart of everything the city has to offer. I booked this house for my friend’s bachelorette trip. There were six of us total that stayed in the house. It was roomy and the updates made it feel clean and modern. We were concerned about the spiral staircase and smaller sized fridge, but neither posed a problem whatsoever. We were able to walk or Uber all over town so easily. We would definitely book this location again should we visit Nola - assuming the town can handle us gals again!! The apartment has an old world charm with modern amenities. It is fully stocked and clean. We enjoyed the courtyard. It was really nice to have a morning coffee there. Our group of seven enjoyed staying here! It was close enough to all the activities we planned during our trip, and it was conveniently one block off the parade route. A couple of things to be aware of though. The dining table only seats six, you have to turn on the water heater with the panel in the big shower for a warm shower, and the beds upstairs make noise when you move around so lighter sleepers should be in the downstairs bed. Other than those little things, this was a wonderful home base for the weekend. Very clean and perfect location to everything! Place was very nice and perfect location. Middle bathroom needs a little uplift because it was tiny but overall rental was nice. Great location if you need to be close the Convention Center or WWII museum. Great set up. Very ingenious use of the space. Huge master bath/steam shower! Very nice. Great location and beautiful home - perfect for your stay in New Orleans. Located in the Warehouse District, this unit is just a short walk/ride to the many places you would want to visit while in the area. Would stay here again and recommend others to, as well.